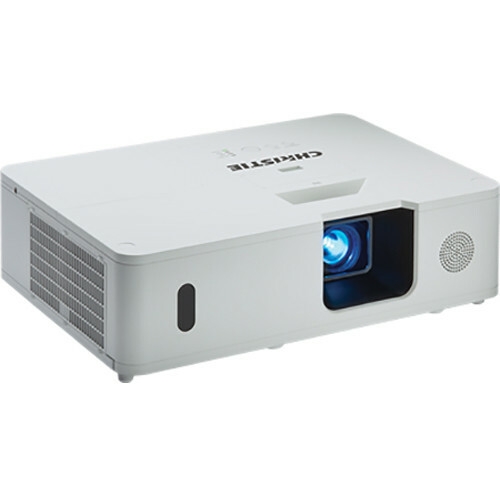 The AP Series LWU502 WUXGA 3LCD Projector from Christie delivers 5000 lumens of brightness with a 10,000:1 contrast ratio. It offers embedded warping and blending, and supports a resolution up to 1920 x 1200. The projector is powered by a 3LCD system. With a lamp life that reaches up to 6,000 hours in Eco mode, the LWU502 offers a variety of connectivity options including composite video, component video, and HDMI digital inputs.